Launching today, Tough Questions is an annual six-episode series that provides a look at how to do corporate social responsibility right. High-level corporate executives are interviewed by a child – one of 10 million – annually impacted by donations given to Children’s Miracle Network Hospitals thru its various fundraising partners and programs. The first three episodes of the season provide a balance of personal interest and business as the executive and child explore how organizations can work with employees and customers to create positive change in local communities. Each featured organization is a proud partner of Children’s Miracle Network Hospitals and supports the nonprofit’s mission to save and improve the lives of as many children as possible. “Why does Aflac have a duck?” Chloe wants to know. Join this 11-year-old cancer survivor from Asante Ashland Community Hospital as she explores what makes a company great and what a special duck can do for pediatric cancer patients. 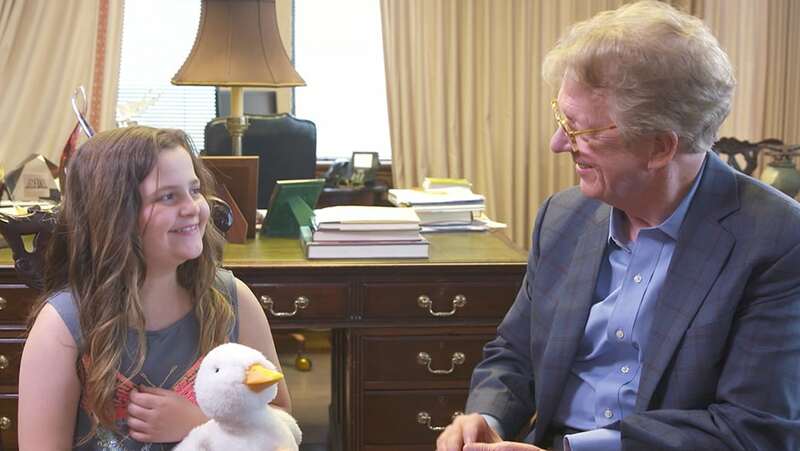 She even gets Dan Amos, CEO of Aflac to spill some canine secrets he doesn’t want his wife to know. Parker, a hydrocephalus patient from Children’s Healthcare of Atlanta wakes up early to meet Kane Calamari, president of the Ace Hardware Foundation and creates an impromptu quiz. Can he handle Parker’s Tough Questions? 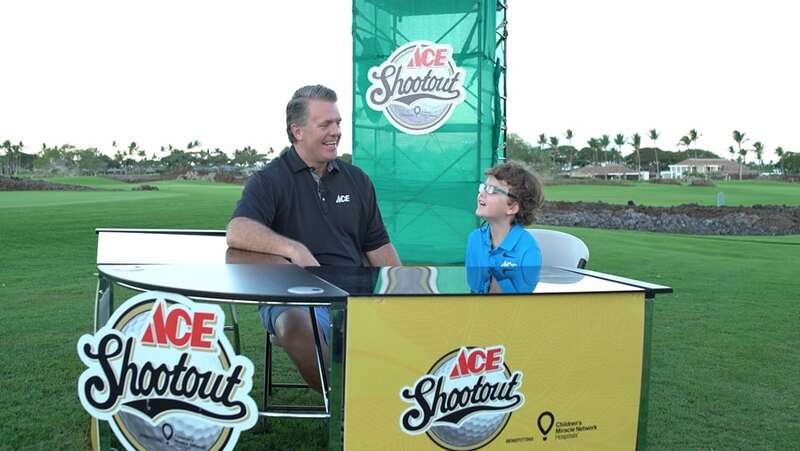 See Parker get Calamari to reveal his childhood nickname and how Ace Hardware is committed to impacting children’s health. In his first experience interviewing a subject, Teddy explores a personal look at doing business the Marriott way. 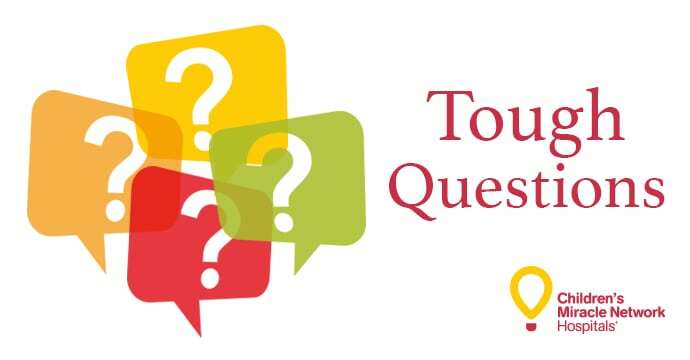 Visit Tough Questions to get a deeper look at the people behind the partnerships of Children’s Miracle Network Hospitals and stay tuned for more episodes.